The conviction of the “Heathrow heist four” at the Old Bailey has raised serious concerns that the historic right to trial by jury may be slipping away. For the first time in 350 years, the four men were convicted in the Crown Court by way of a trial without a jury. On March 31st each received long prison sentences for their part in the robbery. A profound change has occurred in Britain where it is now possible for counsels and a judge to decide the fate of defendants without the involvement of 12 ordinary citizens – the fundamental guarantee against arbitrary state punishment represented so well by the use of the star chamber under King Charles I. The right to trial by jury has been steadily eroded in recent years. 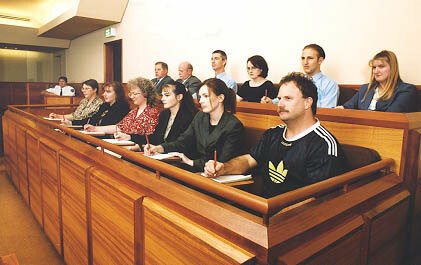 Civil courts now operate almost entirely without juries, as do some lower-level criminal courts such as Magistrates’ courts, which are only able to impose custodial sentences up to a maximum length of one year. However, it is only since the passing of the Criminal Justice Act 2003 that the right to trial by jury in the Crown Court, where sentences can be much longer, has become limited rather than absolute. Section 44 provides for judge-only trials if there is a “real and present danger” of jury tampering. The Heathrow case was on any measure an unusual prosecution. The recent trial was in fact the fourth attempt to prosecute the men, with each of the three previous trials collapsing. The Court of Appeal ruled last June (T & Ors R v  EWCA Crim 1035) that there was a serious danger that the jury could be influenced, and as such set up the fourth, final and judge-only trial. Ultimately, the case cost £25m to prosecute, which was significantly more than the men stole. The mens’ lawyers have said they will appeal to the European Court of Human Rights, claiming a breach of their Article 6 rights to a fair trial. Many would agree that the circumstances of their trial represent a dangerous precedent in terms of legal principle. However, this prosecution may also prove a rare exception to the hallowed principle, and a practical solution to the difficult problem of persistent jury intimidation.